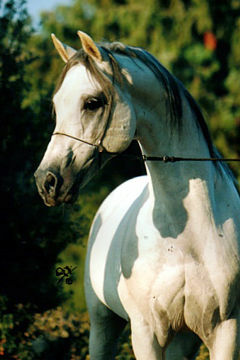 CYDEN SUN, Chestnut Stallion, *1982 (Ngapa Joussif / Ngapa Ayda). 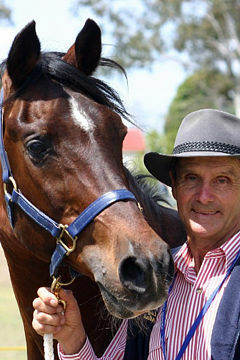 Breeders and Owners: Mary and Chris Tylden. Strain: Dahman Um Amr of Ibn Hemsi (Dahma, 1876). 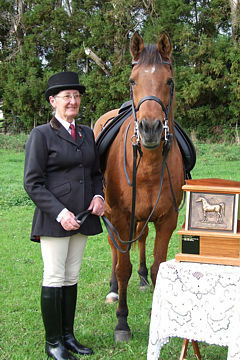 The New Zealand Arab Horse Breeders Society Inc. has awarded their 2009 WAHO Trophy to the veteran 27-year old stallion, Cyden Sun. He was bred Mary & Chris Tylden at their Cyden Arabian Stud in Morrinsville in 1982, and is still owned by Cyden Stud, being their senior Stud Sire. 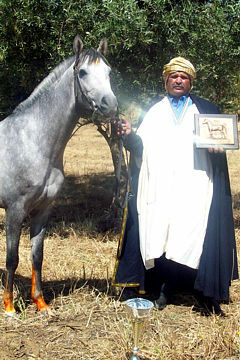 He is of ‘Ngapa Arabian Stud’ Colonial Crabbet bloodlines and is by the well known Endurance sire ‘Ngapa Joussif’ (born 1977, died aged 31 in 2008) who was himself awarded New Zealand’s WAHO Trophy in 2006. 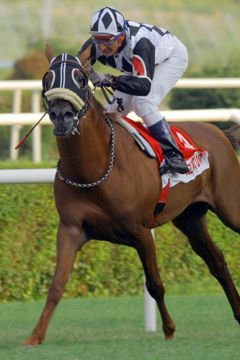 Cyden Sun himself has earned a reputation for siring correct and very athletic, free moving determined progeny with an excellent work ethic and all-round ability for various equine disciplines and in particular Endurance competition, with a “Will to Win”. 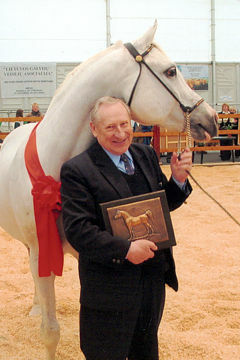 He has definitely helped to lift the overall profile of purebred Arabians in Open competition in NZ with progeny competing in Pony Club events, In-hand at Arabian, A&P and All-breed Shows, under saddle at A&P shows, Open Pony and Hack Championships, Eventing, Dressage, Equine Sports days and especially Endurance competition. Cyden Sun has a delightful gentle honest personality. He has been a very important part of the Tylden family since his birth and his bloodline is greatly valued at Cyden Arabians. He has always been a very active horse who enjoys keeping himself fit ~ he is very free moving and agile and is still in very good health with no signs of arthritis at all and still fertile at 27 years, with two mares due to foal to him in August 2009. He always enjoys following his owners along the fenceline to check out what they are doing and is interested in anything new happening on the farm, in any visitors to the stud and is always keen to see if there are any “treats” being offered. Sun is a very quiet gentlemanly stallion and always easy to handle, very well mannered and kind with his mares and visiting mares, he runs with his own mares all year round. His herd mares foal with him and he is very protective of them, very kind and good with foals ~ he also enjoys playing with the foals. He was broken in at 3 years old, then ridden on the 560 acre drystock farm as a working stock horse, a role he really enjoyed and he was a smooth and energetic ride with a very willing “go anywhere” attitude to work. He has always had a natural ability and aptitude for working stock and in particular cattle. Unfortunately his own riding career was limited due to no fault of his own as there were always other youngsters needing to be ridden and exercised and he was usually assigned to Stud duties. Mary and Chris Tylden with Cyden Sun. All in all, Cyden Sun is a very deserving winner of the WAHO Trophy as he has sired some of New Zealand’s top Endurance horses, plus many quality Show Champion ponies and hacks, Eventers and Dressage horses which are competing in Open company and are excellent ambassadors for the Arabian breed, with several very promising youngsters still to compete. 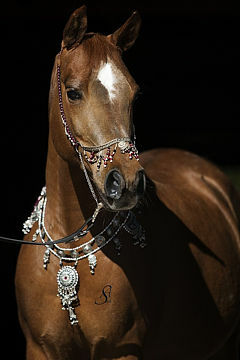 Cyden Sun is also helping to lift the profile of NZ Arabians overseas with 5 progeny exported. Armand (Cydel): CTR Champion & Open Endurance Competition horse: 1999 NZ Nationals – Intermediate CTR Champion; 1999 & 2000 North Island Champs – Intermediate CTR Champion; Wins & places in many 80km Endurance rides; Qualified Waikato Kiritihere 2000 CEI***160km; 4th CEI***140km NI Endurance Champs 2003; 4th CEI** 100km SI Endurance Champs 2003. 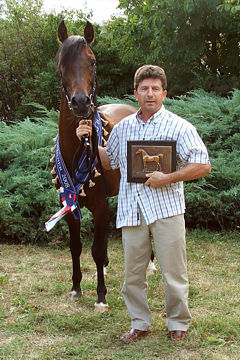 Cyden Banka: Multi Champion Show Hunter at A&P Shows from 1996-2005. Champion and Reserve Awards Mid Northern District which includes 15 Shows each year in Whakatane, Waikato, Te Kauwhata & Ngatea areas. Also Champion & Reserve Northern Districts Shows in Kaitaia, Waimate Nth & Whangarei etc. 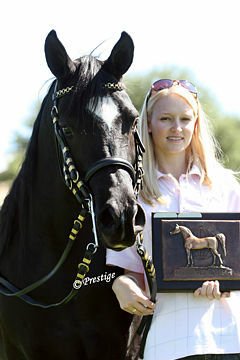 Also successful Dressage horse & Round the Ring Jumping Champion. Cyden Cloud Dancer: Open Endurance horse: 1st NZ National Champs CEI**100km 2006; 3rd Overall 2006/2007 North Island Premier Points series. Exported to Australia and on to UAE. 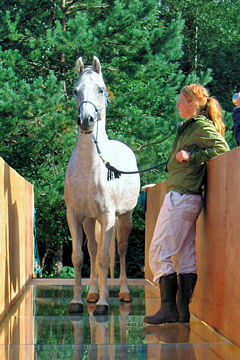 Cyden Design: Has won numerous Ribbons & Championships in Open competition & A&P Shows. 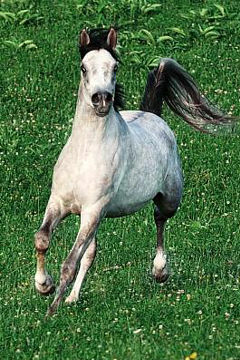 Cyden Eagle: Novice Endurance horse. 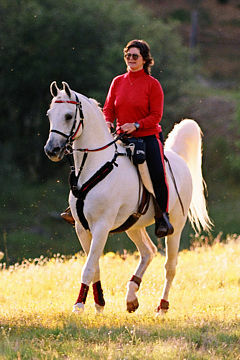 Cyden Flame: Open Endurance horse. Exported to Australia. Cyden Heritage: Has won many Ribbons at Ribbon Days and A&P Shows. 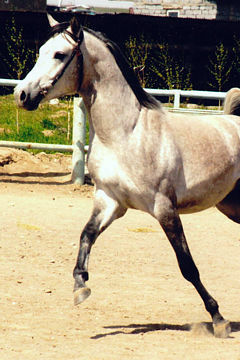 Intermediate Endurance gelding. 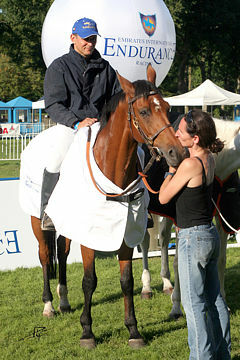 Is a wonderful trekking horse and Top Class Hunter. 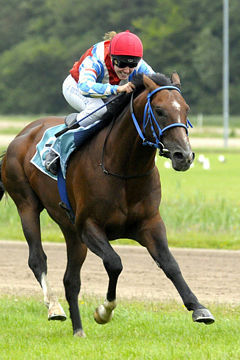 Cyden Hero: Open Endurance Horse – won or placed in many 80km rides: 7th NZ National Champs 2001 CEI **100km; 4th Taupo October 2001 CEI *** 140km; 14th National Champs CEI***160km 2003; 1st N.I. Endurance Champs 2004 CEI***140km. Exported to UAE and on to Spain. 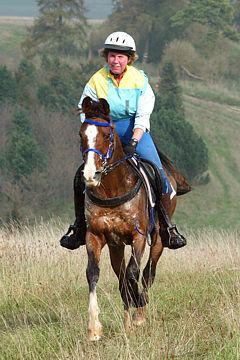 Cyden Immaal: Intermediate Endurance horse: 5th NZ North Island Endurance Champs CEI1*60km 2008. Cyden Juulla: Very successful Show mare in-hand & under saddle. Also Novice Endurance mare. Cyden Kay: Open Endurance mare with many Open rides to her credit: 1st 120km Premier Points Ride 2007 Taupo; 6th NZ Nationals CEI**120km 2007; 2nd NZ National Endurance Champs CEI***160km 2008; 1st Overall 2007/2008 North Island Premier Points Series. Cyden Mark: Open Endurance gelding. Exported to Australia. 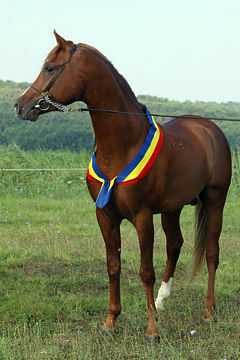 Cyden Nite: Talented Open Endurance gelding: 6th NI Champs CEI** 120km Jan 2009. 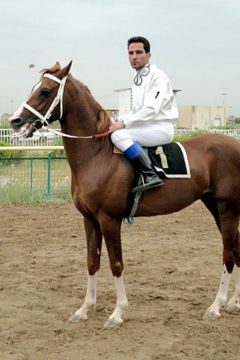 Cyden Omar: Novice Endurance horse. Cyden Opal: Novice Park Hack – Novice Endurance. 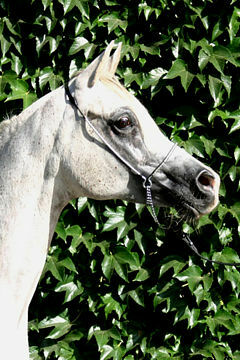 Cyden Phantom: Novice Endurance gelding. Cyden Sharif: Open Endurance gelding with over 1200kms to his credit: 4th Open 80km Jan 2007; 1st Open 80km AWEC Nov 2007; 3rd Open 80km Waitere 2008; 17th NZ National Champs CEI**100km Ruahine 2007. Exported to UAE. Ngapa Magnum: Novice Park Hack in Open Competition at many A&P Shows. 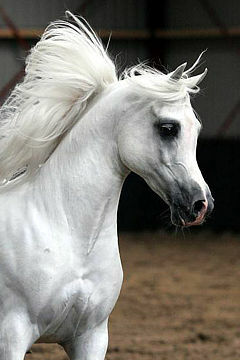 Ngapa Satin: Winner in-hand Arabian Shows. 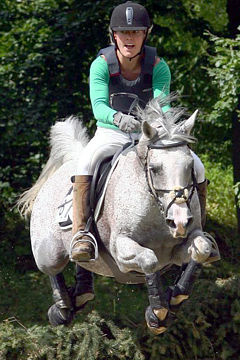 Relko Apollo: Pony Club Eventer & successful show jumper. 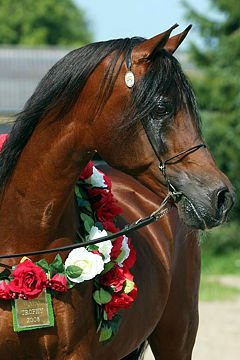 Relko Rainbird: Open Endurance horse with many wins and placings in 80km rides: Nationals 1999 CEI*** 160km 6th & 1st Part Bred Arab; Nationals 2000 CEI*** 160km Qualifier. Te Woatu Alliegance: Novice Endurance mare. 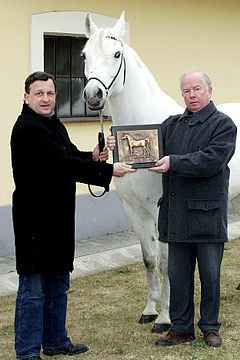 Champion Partbred in-hand. 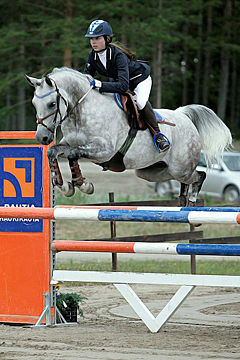 Champion under saddle and Show-jumping. 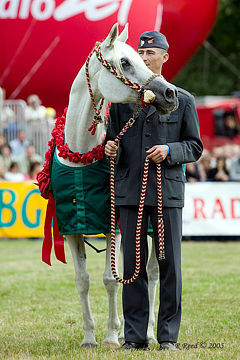 The Emperor: Successfully competed in Open Horse Trials and Dressage Competitions. 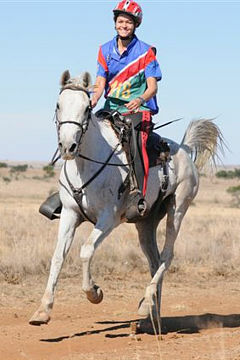 The Highlander: Open Endurance Horse who has achieved over 3000 kms & won or placed in many Endurance competition rides: 2nd & Best Conditioned at HOY Endurance CEI***120km 2007; 1st Premier Points ride Taupo 120km Oct 2006; 2nd Overall 2006/2007 North Island Premier Points Series. Willowpark Sundrift: Top Pony Club Eventer and Multi Champion Hunter. 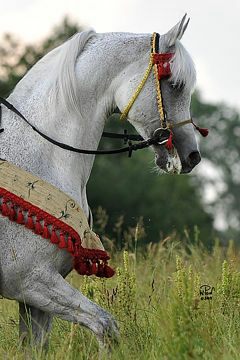 Willowpark Sunflyte: Multi Champion & Supreme Arab Partbred in-hand. 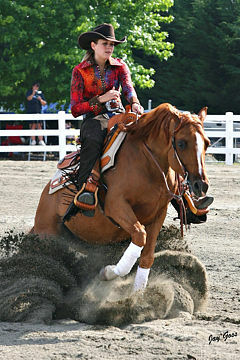 Willowpark Sunsfire: Multi Champion Hack & Medium Dressage Horse in Open company. 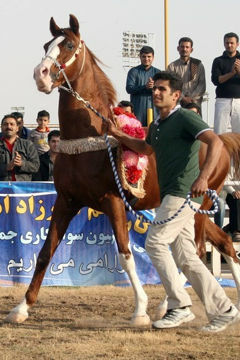 Zaha Baz: Open Endurance horse.